Admit it. You delight in knocking down the enemy, then smirking above them in triumph. Gloating looks so much cooler when wearing a stylish high collar. Revel in your victory while clad in the Kendra Leather Gorget for Ladies. Admire the detailed beauty of this high-collar neck armour. Edging and rivets contribute to an eye-catching medieval theme. 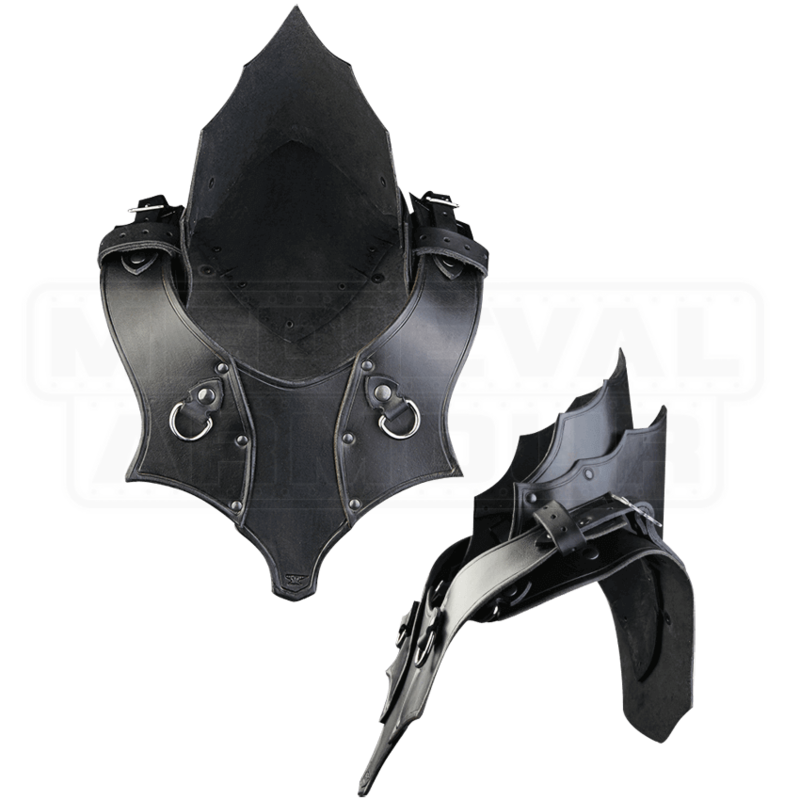 This neck guard is craft from fine quality leather providing a strong defense during LARP and training situations. The adjustable straps on each shoulder allow for a comfortable, customized fit. 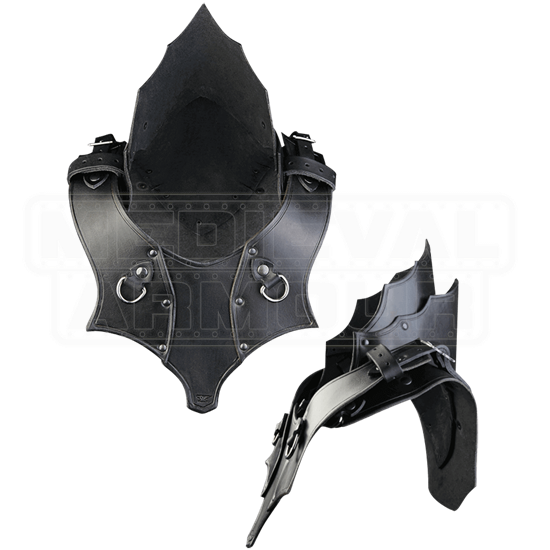 Enter into battle fully protected by adding this gorget to the matching Kendra Leather Bodice for Ladies.